We provide the following technical services with complete confidentiality and transparency. - Entire gamut of O & M including conditional monitoring of 400 / 765 kV, SC / DC, Power Transmission lines & Substations. - Entire gamut of Operation & Maintenance of OPGW over high voltage Transmission line both in offline and live line conditions. The concept of services rendered from a Special Economic Zone (SEZ) was pioneered by Oil Field Warehouse & Services Ltd.
OWS Technical Services has extended this concept by offering manufacturing services for its international clientele based on the same SEZ model. Services, consumables, Copier Service, Projector on Rent, Projector Repairs, Office automation consultancy. Vimal Life Science Pvt. Ltd.
Owing to the presence of our expert team members, we have been able to offer a wide range of Technical Service. Our services are rendered using best available technologies and following international standards. Our services are rendered under the firm direction of experienced quality controllers. 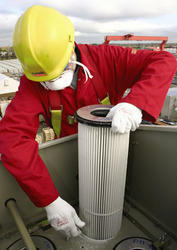 We are service provider of Technical Service. We go the extra mile to achieve our mission of delighting customers by helping them manage their building needs, while at the same time making the process as seamless as possible. We also provides the Technical Services to all our clients whether it would be for House or Corporate at a very cheap rate we provides the below services with our trained staff on which you can fully reliable and feel our services with care. Preparing ITP / QAP as per customer's requirements.